I’ll be in Stirling on 26 Feb for the Talking Shops seminar on shopfronts, part of the History of Scotland’s Shopfronts exhibition and related events at Historic Environment Scotland’s Engine Shed centre. I’m speaking on Shopping at the Co-op; looking forward to showing off some of my huge number of photos of Co-op shopfronts! 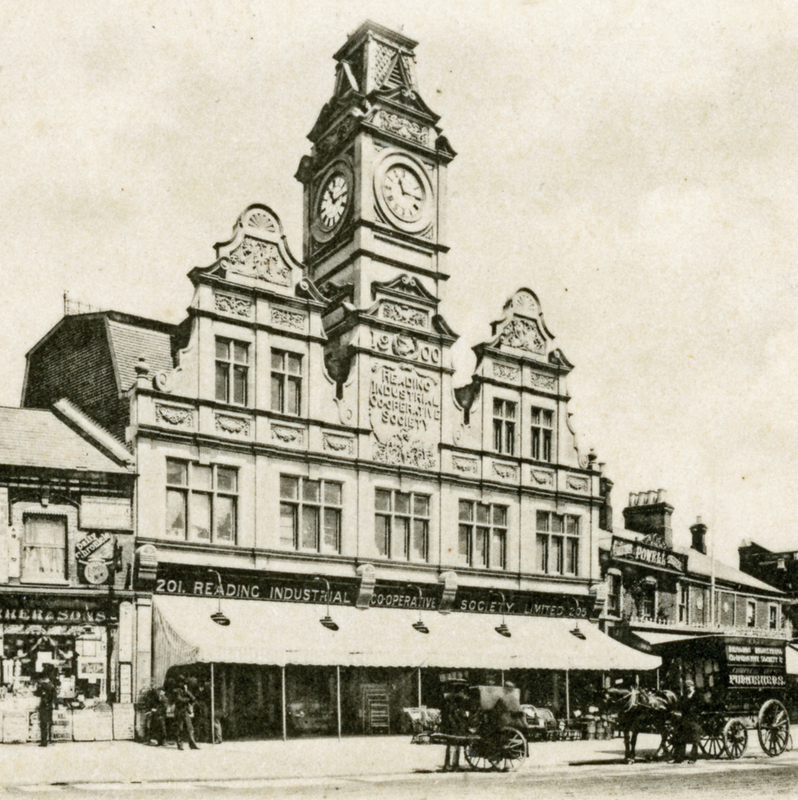 This image is of a rather grand branch in Reading, built in 1901, even though the building says it was 1900 (clearly intended to confuse historians…. ).